Credit Suisse's asset management arm and Banco Best, a Portugal-based bank, have used blockchain technology to process an end-to-end fund transaction and said "considerable benefits" would come from the technology. 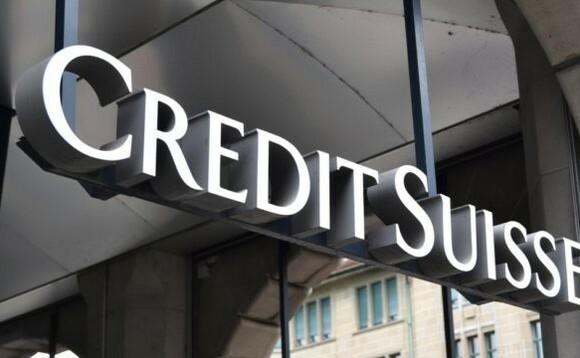 Chief digital officer for Credit Suisse, Pascal Nägeli, describes blockchain technology as "a great lever to increase efficiency" and notes how the experiment proves the advantages of distributed ledger technology for clients and asset managers alike. Claude Metz, head of shareholder services in Luxembourg for Credit Suisse, said: "Blockchain technology in connection with potential mutualised KYC (know your client) servicing will be a game changer for the investment funds business." Portugal's Banco Best and Luxembourg-based platform Fundsquare said in their statement after the test that it had showed cross-border distribution over blockchain was "more efficient, scalable and timely in processing." However, the Swiss bank is yet to confirm that it would use the technology more widely. HSBC has also looked at using blockchain in its operations. Blockchain technology in connection with potential mutualised KYC (know your client) servicing will be a game changer for the investment funds business"
Blockchain technology was used at all steps of the transaction, by means of a dedicated app and API integration. "This proof of concept is a great achievement and reinforces Banco Best's commitment to be ahead of the curve," said, Banco Best's director of investments, Carlos Almeida. "We want to be involved in blockchain technology to work together with all stakeholders in order to adapt and seize new opportunities in our business model, with the ambition to improve the customer experience and to promote financial inclusion." Previously, Credit Suisse — which was responsible for around $800 billion in assets in 2017 — successfully completed the first live transaction of $30m in securities on blockchain consortium R3's Corda Blockchain platform in cooperation with Dutch-based ING financial service. Blockchain is best known as the platform for the cryptocurrency Bitcoin, in which transactions are monitored and authorised by users of the network. All parties have the same view of transactions, and entries cannot be changed once entered, making it a more transparent, and, in theory, more efficient means of transacting.